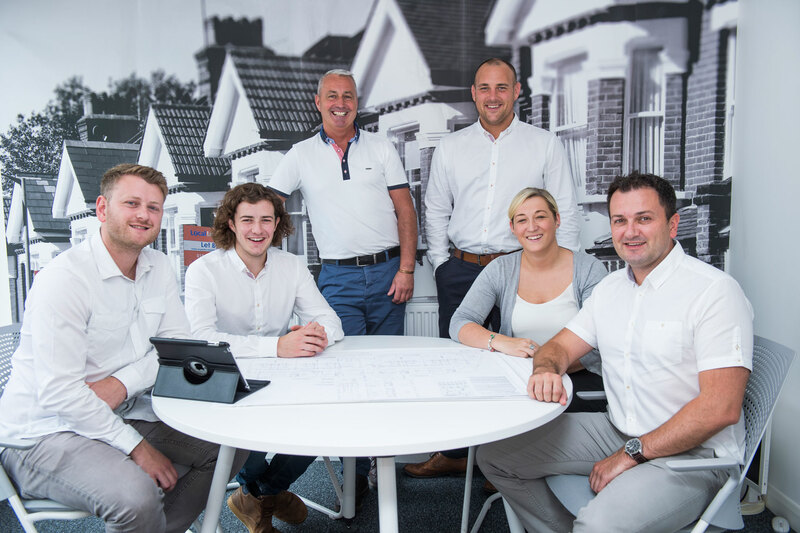 Starting as a family business and currently employing three generations of the Heaton family, we understand the importance of an organisation being driven by values. Below you can learn more about what drives us forward as we expand the business. Property development requires experience, a team of dedicated experts and a vision. This combination can create buildings that will stand the test of time. Our property investment opportunities are not only highly sustainable, but only use the finest quality of materials on development projects ensuring the maintenance and up keep of our properties are kept to a bare minimum. We consciously reduce our carbon footprint as a business by using our own self developed innovation to control utility bills, including fixed waste management per property, which makes for an attractive investment for tenants. Such properties offer highly desirable all bills included tenancies, which are increasingly popular among young professionals who want to live in a modern eco-friendly property but are conscious of their finances. We utilise our longstanding relationships with trusted contractors to deliver development projects in a third of the time of the average UK property developer. This in return enables us to quickly move on to the next project providing a sustainable workflow for our teams. While all our properties are aesthetically pleasing they are also sustainable. To encourage our tenants, in all bills included properties, to become responsible for the amount of energy they use, we have installed smart meters, which they can use to monitor how much energy they consume. The demand for eco-friendly properties is increasing so we have incorporated sensors in a number of our HMO properties, which automatically switch off lights to save energy. Our constant awareness of such innovative technologies ensures we constantly evolve our practices to keep ahead of the development market. Thanks to our connections within the industry we are able to acquire property at 20% to 30% below market value. This unprecedented access means we can offer our exclusive property investor’s property below market value and so add to their capital growth immediately. HG Developments has an experienced and dedicated team who take care of every aspect of the renovations and refurbishment process. Their unrivalled experience means here, at the Heaton Group, we are able to offer unlimited opportunities with the type of property and standard of property we can acquire. Our development team (HG Developments) can transform a property three times faster than the average UK property developer. A rapid development process means we can constantly update our property investment opportunities we offer. With our expert knowledge of the UK property market, we happily advise and offer support to every one of our client’s on making the best investment decision whether you are new to investing or a seasoned investor. We proactively seek out projects, which enable us to support and contribute towards the local community. The whole team works closely with our local council to help restore and maintain the strong heritage of Wigan. We believe as a local business it is our responsibility to give back to the community, which has helped our business go from strength to strength. Recently, The Heaton Group joined forces with local homeless charity, The Brick, to help develop and design modern, high-quality properties in the Wigan area. These developments have been designed to safely and securely house those in need of a helping hand back into society. The accommodation we provided is not only vibrant and sustainable but also safe, allowing the residents to be more independent which helps to encourage further integration into the local community. Restoration is an important aspect of property development, especially when it comes to restoring iconic buildings in our local community. One prime example of this is The Victoria Hotel in the heart of Wigan town centre. We spent time and effort lovingly restoring this historic Grade 11 listed building back to glory. The development is resulting in a mixed-use commercial and residential property that the community can be proud of.